The key to the Groot Parys vineyards is allowing nature to just be, and when the need to interfere does arise, to use as sustainable practices as possible. The vines are mostly Chenin Blanc vines, and are 35 years old. Un-irrigated, the roots have to find the water they require, deep in the rocky soils of Groot Parys. Our attitude of non-interference extends to the wine making process as well. No yeast is added during fermentation and after this the wine is left to ripen on its own terms. Before bottling only the minimum necessary amount of sulphur is added and the wine is only filtered with a so called “fly catcher”, which preserves the taste as much as possible. As a result of our natural ways, our wines really express the terroir of Groot Parys. Although this wine is unwooded, it is pretty powerful. 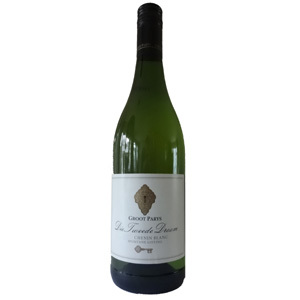 Fermented in old French oak barrels which give the wine even more elegance and finesse. Fermented in larger French oak barrels. An outspoken Chardonnay.